Note: This blog post is relevant to the hosts within Airbnb listings in the United States of America only. 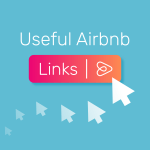 OptimizeMyAirbnb.com recommends Proper Insure for vacation rental airbnb insurance. Often your existing homeowner’s insurance policy has exclusions related to Airbnb. You need proper business insurance, regardless if you’re an owner or renter. See end of the chapter for two questions to ask your current insurance provider to start to understand if you have proper airbnb insurance. A question that comes up often with my Airbnb hosts is insurance. Trying to tackle a behemoth topic such as insurance is a difficult task, yet it’s so important. 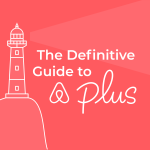 The one consistency I have found in all my years as an Airbnb host, is that you will get different answers from different people, every time you ask a question about insurance for Airbnb Hosts. Here is a simple question: If I own a second home and half the year I stay there, and the other half the year I rent it out via Airbnb, does my homeowner’s insurance cover me for property damage and liability claims? In preparation for this post, I have asked this question to five different insurance agents and got five different answers. One agent said it depends on how often you rent it, and another said if you don’t tell anyone, you should be fine! Those are not very reassuring answers for such a simple question, especially for someone whose business is insurance. Rusteen: Law360 just published an article referencing a California Superior Court case, in which an Airbnb host accuses Travelers of systematically denying property damage claims when any part of a damaged building has been listed for short-term lodging on Airbnb, regardless whether the loss had anything to do with the listing. Are you familiar with this case? Pettyjohn: Yes. It does not surprise me that large domestic insurers are denying homeowners’ claims if they even hear the word Airbnb. An insured person pays a premium for a company to take on risk, and the more the risk, the more the premium. In this case, it not only appears there is a rental exclusion, but I guarantee it had a business activity exclusion as well. Traveler’s likely could have denied the claim based on the business activity exclusion, claiming that the host was running a business from their home, which in this case is an Airbnb rental. It’s hard for someone to argue an Airbnb rental is not a business. Rusteen: So any person who rents their property on Airbnb, and has a homeowner’s policy, will be denied, regardless whether the claim had anything to do with the actual Airbnb rental? Pettyjohn: Yes, all standard homeowner’s policies have a business activity exclusion and some form of rental exclusion. However, some carriers are expanding the definition of the rental exclusion and allowing some short-term rentals, capped at a number of days, and typically capped at $10,000 in coverage. They are basically trying to patch a leaky raft, as homeowner’s policies are fundamentally wrong from the beginning. They are not written for rentals or for businesses. PRO TIP: Ask about Fair Rental/Business Income insurance protection which covers lost revenue, sometimes up to two years, if you are unable to continue renting out the property. The good insurers will pay you what you actually earned rather than an average of fair market value (i.e. comparable properties). 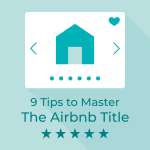 Rusteen: What are Airbnb hosts supposed to do? Pettyjohn: They buy business insurance, just like any other business does. Renting out your home for profit is a business. When someone is looking to travel to an area and they have a choice to stay in a hotel, or rent someone’s home, you better believe that is business competition. 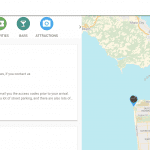 Hotels carry business insurance, so should Airbnb hosts. Rusteen: What are your thoughts on the Airbnb insurance providers Slice and Comet as it related to business insurance for Airbnb hosts? Pettyjohn: They are capitalizing on exactly what we have covered so far, which is a need for business insurance in regards to Airbnb. In my opinion, they are not solving the problem, they are filling in one of many gaps. Let’s look at Slice. You pay on average $7/night for property and liability damage that occurs only during the rental period. Their marketing is, only pay for the nights your property is rented. OK, well what happens when a tree falls on your house, during a night in which your property is not rented, and not covered by Slice? This is exactly what happened in the above-mentioned case. With Slice, you still must maintain a homeowner’s policy, so to my point, it only addresses one of many gaps in a homeowner’s policy. Rusteen: Got it. So I need a business policy that is written to cover a business, but also written to replace your homeowner’s policy? Pettyjohn: Yes, 100%. There are essentially three ways you could technically insure a home, you could use homeowner’s forms, landlord forms, or business forms. Because Proper uses business forms it gives us the horsepower needed to cover what a homeowner does, and what a landlord does. Rusteen: Is Proper the only one writing this special policy? Pettyjohn: No, there are many of carriers who can write a business policy for your home. Proper’s coverage is unique in that we put a few special endorsements on our policy, i.e. no limit on theft from a renter, but there are comparable policies. Rusteen: What do I do if I want to shop around and compare? PRO TIP: The most complete policies will protect against liability, building, contents, and lost income. Pettyjohn: You need to get in touch with a local independent insurance agent, preferably one with some time under their belt. Independent agents get appointed with specialty carriers to sell their products and would be able to service the policy. Be very clear in what you are looking for, i.e. tell them you short-term rent your property on Airbnb, and would like a business policy to replace your current coverage. Rusteen: Some of my hosts do not own the properties they rent on Airbnb, they actually lease them from the owner, and then manage them on Airbnb as rentals, what do they do for Airbnb insurance? Pettyjohn: All the same rules apply, except the re-renter, as we call them, is used to purchase a renter’s policy. Proper sells a commercial or business renter’s policy, so it works perfectly for the re-renters. Since they do not own the building, they do not need building insurance, they simply need contents, income, and liability insurance, and we add the owner of the property as additionally insured. Rusteen: What about condos, cabins, and townhouses, how to insure those? Pettyjohn: Townhomes and cabins are insured the same as single family homes, but condos actually get a commercial or business condo policy. Condo owners carry an HO-6, or homeowner’s 6, which is designed for properties in which the owner only insures the walls in, as the association owns and insures the roof and the hallways, etc. The problem with an HO-6 is that the same business activity exclusion applies as in a normal homeowner’s policy. The owner of the condo needs business insurance. Rusteen: Many hosts are putting their Airbnb rentals into an LLC, how does this affect the Airbnb insurance? Pettyjohn: An LLC creates an extra layer of protection against a potential liability lawsuit, and it also helps with tax deductions regarding Uncle Sam. For the Proper policy, it has no effect as our policy is a business policy. We name insured’s as Sole Props, LLC’s, Inc’s, LP’s, Trusts, and IRA’s. Rusteen: Many of my hosts have mortgages on their properties and don’t necessarily want their lenders to know there are renting their properties on Airbnb, how does Proper handle this? Pettyjohn: Banks have an insurable interest in the property itself, and they need to make certain the property is insured in case of a fire, etc. They need to confirm you carry homeowner’s insurance or AKA hazard insurance. The way banks verify insurance is through a standardized document named Evidence of Property Insurance (EPI). On every application, Proper asks if there is a mortgage and if yes, whose name is on the mortgage, and that is the name that goes on the EPI which goes to the bank for proof of insurance, or escrow payment. I would estimate 40% of our clients carry a mortgage, so this is a non-issue. We never put an LLC or proof of commercial liability on the EPI, as the bank has no interest, nor is it any of their business. An LLC creates an extra layer of protection against a potential liability lawsuit, and it also helps with tax deductions. Rusteen: To wrap it up, please give my hosts a few takeaways or action items? Pettyjohn: My advice to your hosts is to pull out their insurance policy, read it, and ask questions. Airbnb renting is awesome and profitable, but paying for property damage or defending a $1M lawsuit is not. This is the reason people buy insurance, it’s a transfer of risk. If I regularly entrust my property/home to a paying Airbnb guest for a period of less than 30 days, and that guest damages or steals my property, do I have property coverage? If I regularly entrust my property/home to a paying Airbnb guest for a period of less than 30 days, and that guest is injured on my property, do I have liability coverage? If you are not getting clear answers in writing, then it’s time to find a new insurance agent, one that can spend the time to educate you and sell you the proper Airbnb insurance. What Airbnb insurance provider do you use? Are you happy with the provided service? Have you made any claims?